How can you set the spark of the digital transformation on fire? We always stress the importance of change in the era of constant technological evolution, but more than often it is not clear who should lead this change. Who is the agent of drift towards the future? 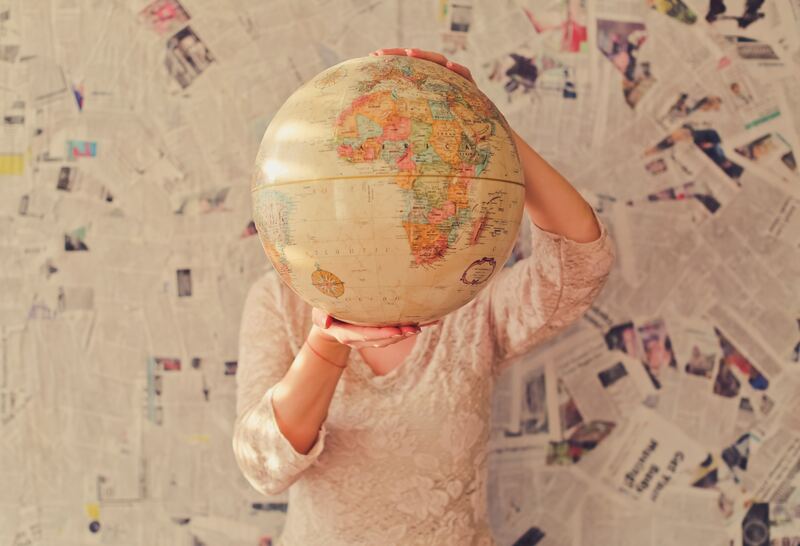 What it means to be a successful change agent in the digital economy is the main focus of the latest report published by Brian Solis, analyst at Altimeter. The prophet from the age of Digital Darwinism has shared, once again, the opportunities and hardships of moving a Brand from the old patterns and habits. The report has a self-evident title: “The Digital Change Agent’s Manifesto – How the People Behind Digital Transformation Lead Change From Within”. It starts with the awareness that technology and society still evolve at a faster pace than organizations. Even though they are investing in their digital transformation, most Brands are often too slow. What are the highlights of these digital agents? Although digital transformation is one of the biggest trends in business today and companies are investing heavily in new technologies and innovations, many still do so as a grassroots effort driven by resourceful individuals — digital change agents — across the organization. Digital change agents are passionate about digital innovations and ardent believers in their potential to help the organization succeed — but they are sometimes reluctant to step into a leadership or change-management role. Change agents can rise from anywhere in the organization and often begin as digital advocates — employees who introduce or promote new digital ideas or products — and eventually progress to experienced transformers. Capitalize on their own inherent “superpowers”. As a CEO, you should always ask yourself what can you do to make the digital change agent feel less lonely. Of course, transforming and leading the organization towards the future is never easy but, when all the pieces align, there you will find the evolved digital organization you have been longing to achieve. 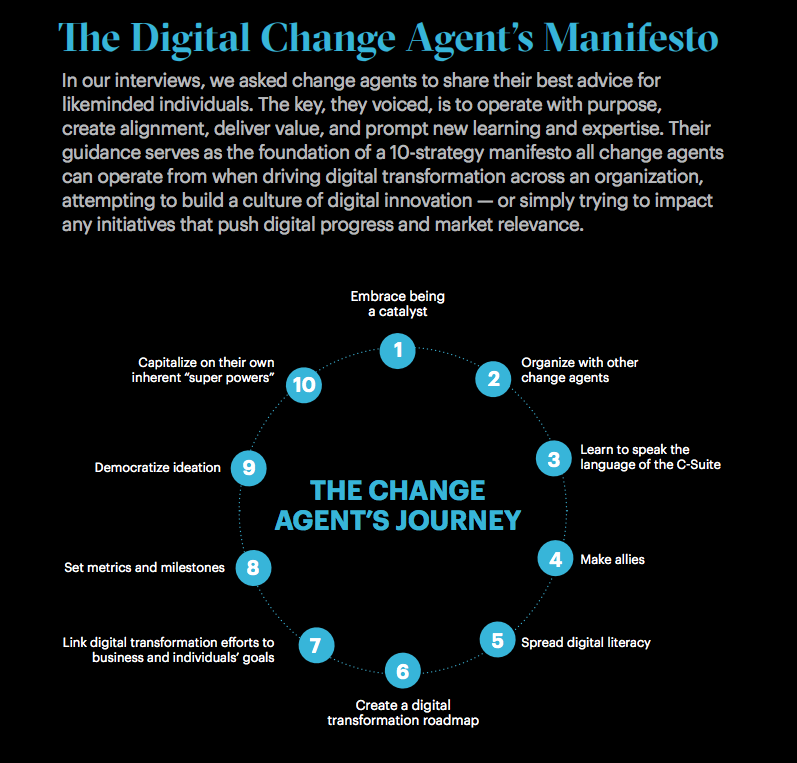 We strongly advise you to download The Digital Change Agent’s Manifesto, a thoughtful, brilliant piece of research by Brian Solis.